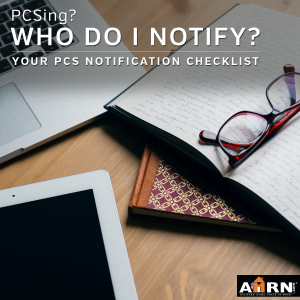 Your PCS to do list is long enough already, so we’re making it easier to check off who to tell you’re moving! In between packing boxes and searching for your new home, there are a lot of details involved with planning a smooth move. One of the more time consuming tasks is contacting everyone who needs to know that you’re moving and your address is changing. From family and friends to the businesses you work with, this is one task that is more important than it seems. 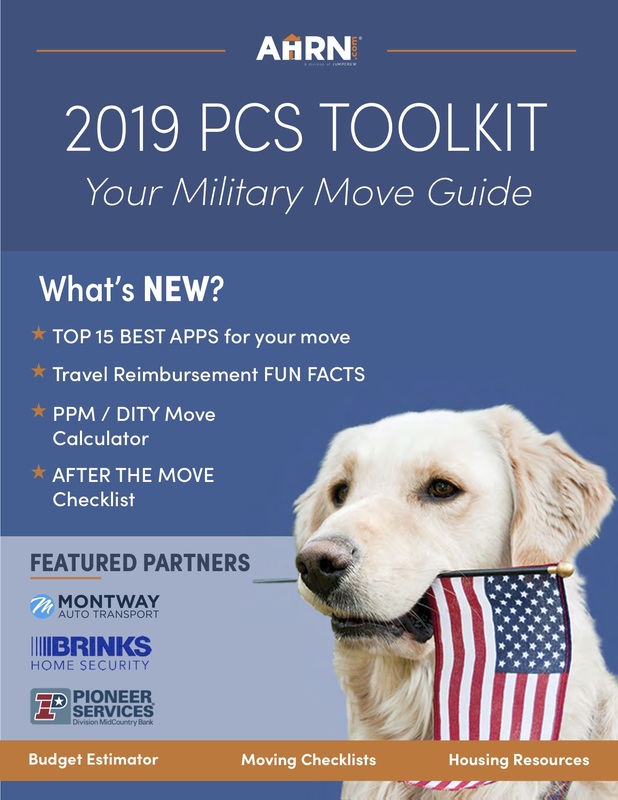 One common financial complication of frequent moves happens when military families miss a final bill or fail to close out an account. In the confusion that often follows a PCS, those bills can too easily go to collection and show up on your credit report! Being proactive about updating your address is key to avoiding this pitfall. Military families know that we keep track of friends’ addresses in pencil – because it’s always subject to change! But how do you keep everyone up-to-date without waiting until you need to send a birthday gift or Christmas card? Services like Postable offer a paper-free way to keep friends updated and a good handle on your own contacts. When you sign up, you can send an email to your friends and family (including your own updated address) and invite them to add their current address to your Postable account. For friends that have their own online address book, you can simply edit your info and let them know they now have what’s most current! It can feel awkward to deal with your employer once you’ve given notice that you’ll be moving – but it is important to keep communication open and provide your new address. Your final check and tax information both could depend on that information being accurate. Don’t assume that they’ll come after you to get it. As soon as you know your new contact information, offer it to the appropriate person via email. Volunteer organizations shouldn’t be left out either. While you’re not waiting on a final check, future volunteers might benefit tremendously from being able to touch base with you about projects on which you worked. Additionally, those connections made through volunteering might be the key to a future career opportunity – but only if they know how to get a hold of you! Exactly how and when you offer notice to your landlord depends on your personal situation and the details of your lease. In any case, it is essential that you establish how your deposit will be returned if you are eligible to get it back. Make follow-up simple by providing your former landlord with your new address as soon as you are able. It might also be a great way to test the waters and see if your landlord would be willing to provide you with a rental reference should you need one in the future. The US Post Office now allows you to manage your formal change of address online. If you are one of many service members who won’t know your address until after you arrive at your new duty station, consider putting your mail on hold and then forwarding it once you have somewhere to send it. Alternatively, you could establish a PO Box or commercial mailbox (like the ones offered at UPS and many FedEx locations) and forward your mail, beginning a few days before you move. There are a broad variety of ways that different utilities might close out your account. However they do so, you will want to hold onto your account information, get verification of the account’s closing and provide them with a follow-up address to avoid missing a final bill or step in the closing process. Did you know that you need to let the IRS know that your address has changed? Even though military W-2s are distributed electronically, there could be other communications from the IRS that you don’t want to miss. Keep on top of your tax information by completing the IRS’ Change of Address form. We all know that even the advancement to digital medical files doesn’t mean that everything always transfers when we move between systems. Check in with your primary care manager and any specialists that you’ve seen at your current duty station to find out how to get a copy of the medical records they have sent to your next PCM also sent to you. Then, leave them with contact information in case they need to get in touch (like if a new specialist is requesting your records and they want to notify or verify with you first). Transitioning schools can be a confusing process. Education expert Marguerite Flanagan walked us through it and offered fabulous advice for military families to minimize the impact of a PCS on a child’s education. When you are meeting with the school at your departing installation, leave them with current contact information in case any follow-up is necessary as you get settled at your new installation. Do you have anything regularly delivered to your home? Amazon Prime, monthly box services and the increased availability of grocery delivery truly brought convenience home. Avoid missing out on any of your deliveries by pausing them for the month you are moving and updating those services with your new address as soon as it’s available. Worried you might miss one? Use your bank statements as a check. Scan two or three months worth of statements and make note of anything that is delivered. That will allow you to quickly build a list of businesses to contact with notice of your move. Feeling overwhelmed by your PCS to do list? 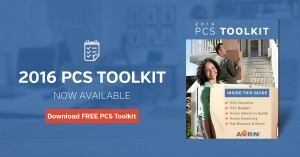 Print the AHRN.com PCS Toolkit to get your move organized and on point! How do you handle changing your address? Do you wait until you’ve settled in? Keep a list in your PCS Binder?